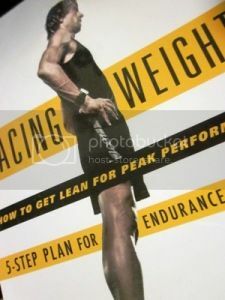 In the first part of my recap of Matt Fitzgerald's "Racing Weight," I explained that, essentially, not all workouts are created equal. Calories out can vary greatly from one workout to another. It makes sense, then, that calories in can't all be equal either. Think about it. 1200 calories of broccoli looks very different from 1200 calories of fried chicken - specifically, in volume. Per the calculator on MyFitnessPal, one breast piece of KFC's extra crispy chicken weighing 176 grams has 510 calories. The same weight in broccoli? Only 60 calories. Humans, athletes and non-athletes alike, need carbs, fat, and protein to function. The proportions of each vary slightly from one person to the next, and for athletes, they can depend a lot on your sport. As a runner, I need to make sure I have a good amount of carbs in my diet, since that is what my body uses as fuel when I run. That doesn't mean piles and piles of pasta - we need to still be mindful of calories - but it does mean not freaking out and avoiding all carbs because the dieter's mindset tends to criminalize them. As important as what we eat is when we eat. This doesn't necessarily mean the dieting trick of "don't eat after X o'clock," but more specifically, it means timing your meals and snacks based on your workouts in order to get the most out of it, specifically in terms of nutrients. Fitzgerald explains how to eat before and after a workout (and during, for "endurance exercise") in order to maximize fat burn and muscle growth. He also provides example menus for morning, afternoon, late afternoon, and twice-a-day exercisers with times included. Timing refers to both when you eat, and how fast you eat; by eating too quickly, you might overeat since you don't feel satisfied until the food has entered into your stomach. This ties in with mindful eating, and being aware of how hungry you are - and if the hunger is, in fact, physical, or if it is an emotional craving. High-satiety foods keep you feeling fuller longer, and the nutrients in these foods include "fiber, certain proteins ... long-chain fatty acids, and possibly calcium." (p. 157) Related are low-density foods, which means they have a low ratio of calories to volume - basically, foods with high water and fiber contents (like fruits and vegetables) can leave you more satisfied than high-density foods. And our bodies can become acclimated to eating a certain number of calories, so by eating less, we can alter our body's craving for quantity - however, it has to be be done smartly (Fitzgerald suggests a sharp reduction for a few weeks, then an increase to a number in between the previous number of calories eaten and the reduced budget). The information about nutrients and calories is all fascinating, but one thing that stood out to me especially was how often he suggested weighing yourself - and what other measurements should be taken. He said there is a merit to daily weighing, and essentially what you choose to do should be whatever you feel most comfortable with, but if you honestly eat well and stay active, the scale should move. (He also suggests a scale with a body fat percentage calculator, as that is a better measurement than just weight.) He recommends that when you weigh yourself, you should also take body measurements and do a time trial for whatever your sport is - for runners, for example, run a 10K and record your time. That will help show how you (hopefully) improve at your sport with reduced body fat and better nutrition. I love the idea, and lately, I've been applying the same concept to thinking about weight. What if I didn't know how much I weigh? How would I measure success? What non-numeric cues would I rely on? I'm not a runner or athlete but I enjoyed this post. I weigh myself at least five times a week but, except for one WW meeting a month, I never step on the scale except first thing in the morning. This has worked well for me for many years. Wow, a lot of great information! Thanks for sharing it! Thanks for sharing this great information and your own insight. Your posts are so thought-provoking - Love! Hope you enjoyed your Spring Break and are feeling the energy and renewal of Springtime! Great review of the book! Definitely makes me want to read it. WOW! So much information to "digest!" It's funny that I'm reading this post now. I've just had a coffee with someone who's planning to run the London Marathon this month and we were talking about pretty much what you've just wrote. It's so fascinating. PS - I love that website so much, it's brilliant.